Launched in 1996, Greg Norman Estates is a proven success in the wine industry with a collection of wines from Australia, California, Argentina and New Zealand. Greg Norman Greg Norman is undoubtedly one of the best-known and most respected personalities in the world. His unyielding approach to both golf and life earned him the nickname, The Great White Shark. It's a name he embraces and embodies through his achievements on the golf course, in business and in life. 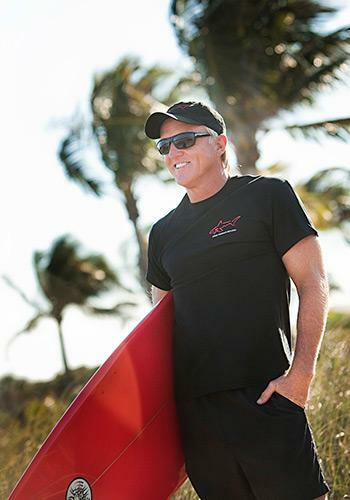 Greg Norman is a man driven to succeed. He lives a life full of adventure, in both sport and business, and he's not afraid to take risks to pursue his dreams. Bold. Unrelenting. Driven. Integrity. These are all words that invariably describe Greg Norman. These are words that also distinctively describe Greg Norman Estates. Created from a passion and strengthened by determination, Greg Norman Estates is a collection of fine wines sourced from stunning wine regions around the world; Australia, California, Argentina and New Zealand. The wines speak true to this global man, reflecting his experiences while traveling the world over. Each region is appreciated for its own unique characteristics, the incredible wines produced and for the influence they have had on Greg. A strong believer in the role of wine in an active, easygoing lifestyle, Greg's aim is to produce approachable yet bold wines from these countries and bring them back to you so that you will be able to "discover your shark side." Description Most of the grapes came from the Coonawarra regions of South Australia's Limestone Coast. These regions are famous for outcrops of red soil that lie above a hard layer of coastal limestone. Tasting Notes Vibrant and complex aromas of spicy, red berry fruit, cinnamon and clove spice. Wine Spectator 89"Crisp in texture, with an overlay of earthy green olive character on a taut core of blackberry and tar flavors that persist nicely on the juicy finish."